The Town of Florence was founded in 1866 and is the sixth-oldest non-Native American settlement in the state of Arizona. 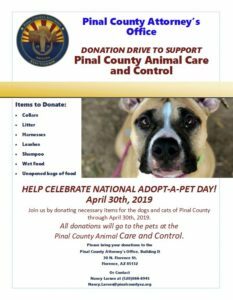 Florence is the county seat and is situated in the central portion of Pinal County, Arizona about 45 minutes away from the Phoenix and Tucson metropolitan areas. Three major transportation corridors run through Florence, which include Highway 287, Highway 79 and Hunt Highway. These roadways provide connectivity to the region that is unrivaled by similar sized communities within the state. The Town of Florence is a full-service municipality. The Town provides police, fire, library, senior center, parks, water, sewer, sanitation and many other services to the community. Town of Florence employees are pleased to provide quality services and a friendly attitude to all of our residents. Florence, being one of the oldest towns in Arizona, is proud of its history and the designation of the historic downtown as a National Historic District. The Town strives to strike a balance between preserving the past and preparing for the future so that an authentic sense of place is maintained and new growth and revitalization are encouraged. There are three public schools within the Florence boundaries, which include two K-8 schools, and one high school. The main campus of Central Arizona College is also within close proximity to Florence. A satellite campus is also in Florence. Arizona State University’s Polytechnic Campus is located in nearby Mesa. Arizona State University and the University of Arizona are located in Tempe and Tucson, respectively. An ASU Distance Learning Center is located within the Anthem area in Florence. There are a number of major employers in Florence, which include Pinal County, Town of Florence, Florence Unified School District, Safeway, and nine correctional operations. Florence has approximately 7,000 jobs. There are many prominent recreational landmarks and areas of interest in and around Florence. The Gila River is a prominent landmark that runs through historic Florence. The Gila River served as the northern border in the Gadsden Purchase in 1854. In addition, Box Canyon, Martinez Canyon, old Silverbell Mine, Coke Ovens and many other sites to the east of Florence provide visitors with fantastic scenic views and an opportunity to hike, explore, off-road, or otherwise enjoy the Sonoran Desert. Also in the area are the Casa Grande Ruins, Lost Dutchman State Park, Boyce Thompson Arboretum State Park, Tom Mix Monument, and the Superstition Mountain Wilderness Area. Florence is home to McFarland State Park, Pinal County Historical Museum, Florence Aero Modeler Park, Charles Whitlow Rodeo Grounds, a quaint historic downtown, and the final resting place of Charles D. Poston, the Father of Arizona, at the summit of Poston Butte. Travel just a little further into Phoenix or Tucson and you’ll discover all of the culture, recreation and entertainment you’d expect from a major metropolitan area. There are several special events that occur in Florence every year. Among the events are the Tour of Historic Florence in February, the Country Thunder U.S.A. music festival in April, and the world’s oldest children’s (ages 5 to 18) rodeo, coined the Junior Parada, that takes place every Thanksgiving weekend with the accompanying parade. Florence is growing in population and in square miles. Florence has continued to steadily increase its residential population and expects 250 new homes constructed in FY 13/14. The present day population of Florence is approximately 10,000.